I wanted to wish you and your family a very Happy Halloween! 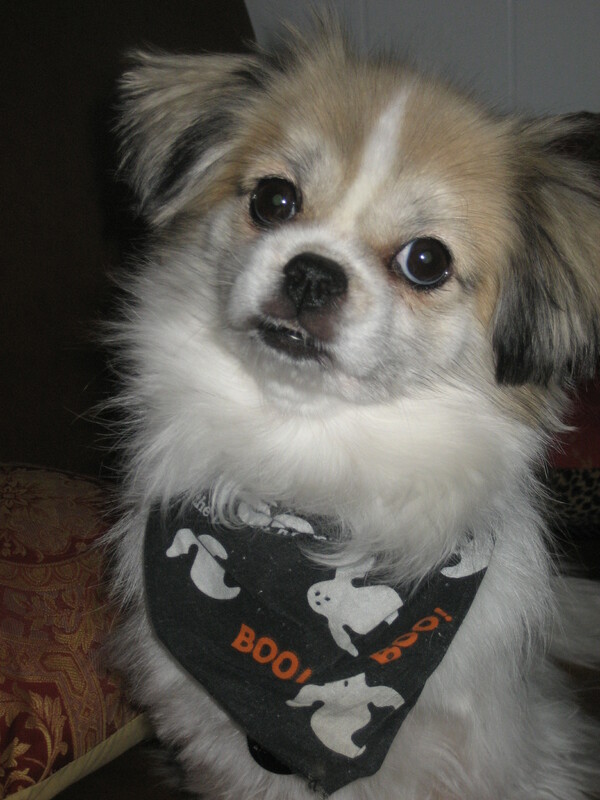 As you can see, our dog Karma is ready for the trick-or-treaters tonight. Would you like to keep updated on many of the posts from the attendees of the Wine Bloggers Conference? If so, visit the page where attendees are posting links to their blog posts on Open Wine Consortium. And check back often to see the latest. I think it will take quite awhile for us to complete all there is to write about from the Wine Bloggers Conference! My expectations for the first Wine Bloggers Conference were high when I decided to attend early this summer. After months of getting to know several wine bloggers on Open Wine Consortium and Twitter, I was going to have the opportunity to meet my friends and fellow wine bloggers in person. I know it may seem strange to hear me call a bunch of people I’ve never met in person my friends, but that’s what they are. As a community, we have cheered on each other’s achievements and new ventures. We have jumped in to provide insights, ideas and resources with enthusiasm. We have comforted each other when one of us is down in the dumps or not feeling well. And like all other friends, we can pick good fights in jest, debate a point of relevance (or non-relevance!) and be mad at one another one day, but not the next. We have come to count on and deeply respect each other, whether or not we agree on things. We share a love and passion for wine and those involved in the industry. We are excited to learn more, share our insights and push the envelope forward to better ourselves and our blogs. This is a strong, vibrant and exciting community and I’m very honored to be a part of it. This weekend, I met many of my blogger friends and happily recognized several by face from their avatars which made it very easy to walk up and introduce myself or have someone seek me out. The awkwardness that usually accompanies breaking the ice with conference attendees was not an issue, as was pointed out by Joel Vincent of Open Wine Consortium, one of the Wine Bloggers Conference organizers when he addressed us during his wrap up speech today. Another tremendous advantage of social networking, in my opinion. This first post on the conference is a foundation for the others that will follow to report on more specifics and important take aways. 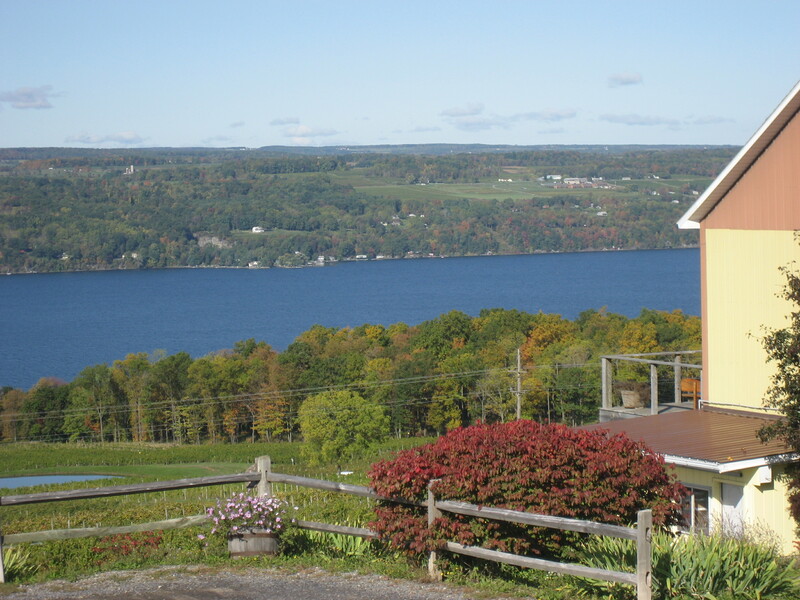 I have some new insights on the Finger Lakes Region after seeing some of Sonoma County. I will fill you in on new ideas that were uncovered at the conference. And I’ll walk you through some more specifics of our weekend activities as soon as I am feeling back to myself. I am still not well after suffering from motion sickness on the bus ride back from our dinner at Sebastiani, but I’ll report more soon and have some great photos to share with you as well. I was recently honored with an invitation to the celebration of the release of Dr. Frank’s N90 Riesling Clone and had an opportunity to meet and share lunch with Frederick Frank, President of Dr. Konstantin Frank Vinifera Wine Cellars. I found him to be gracious, down-to-earth and passionate about the future of the Finger Lakes wine industry. Melissa Dobson: Tell me about how you selected the Finger Lakes region to pursue your passion for wine. Frederick Frank: I spent many summers while in school working with my grandfather, Dr. Konstantin Frank. I enjoyed learning from him and realized at an early age that I wanted to continue the family winery. My father, Willy, took over the winery in 1984 from his father Konstantin who started the winery in 1962. Willy encouraged me to get a good education and experience before joining the winery full time. I received my B.S. from Cornell University School of Agriculture. After graduation I went to work for Banfi Vintners as a sales manager in New England. In 1982 I left Banfi to attend the Geisenheim School of Viticulture and Enology in Germany. I was then rehired by Banfi Vintners to be their Managing Director for Banfi Vineyards in Old Brookville, New York. In 1993 my father was hospitalized and asked me to return to Dr. Frank’s Winery as President. I have enjoyed working at Dr. Frank’s Winery and look forward to passing the reigns on to my son, Kyle, after he has completed his education and gained experience. 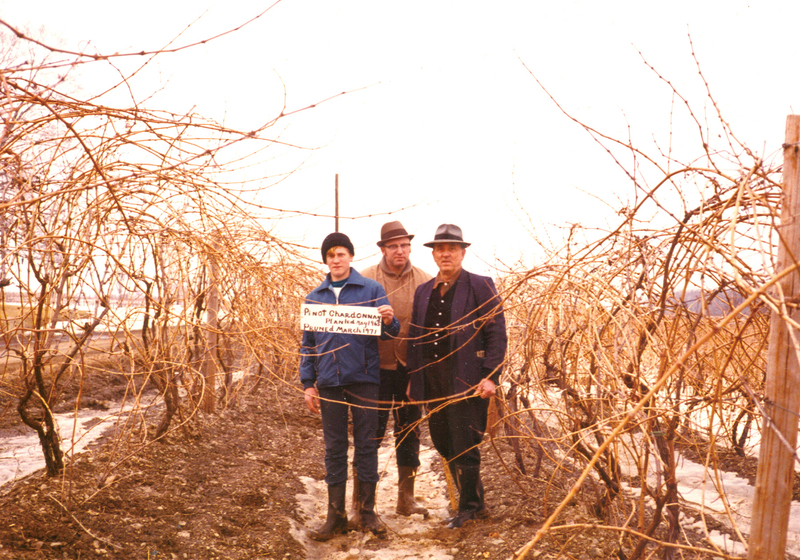 FF: I have seen the Finger Lakes Wine Region experience many changes in the last 45 years.When my grandfather started the family winery in 1962 as an all Vinifera Winery he was laughed at and ridiculed by many industry and academic leaders. He was called ,”the crazy old doctor on the hill”. Today many of those industry leading wineries are no longer in business because they failed to adapt to changing consumer tastes demanding higher quality wines made from the Vinifera grapes. Recently the New York Wine & Grape Foundation hired the market research firm, Wine Opinions, to do a study on brand awareness among the 240 wineries in New York. The winery with the highest brand recognition among New York wineries was Dr. Konstantin Frank which was picked by 17% of the respondents. The winery that came in second had a 5% recognition rating. We have worked hard through three generations to increase the brand awareness of our winery and the Finger Lakes region. We have improved quality and increased production at the same time we have expanded distribution of our wines to over 30 states and several foreign countries.I believe the Finger Lakes Wine Region is becoming known as the best cool climate region in America. This gives us an advantage in producing wines from the Northern European grape varieties. Our cool climate then becomes an asset and allows us to compete among the best wines in America. FF: We need to continue to work to improve the visibility and progress of the Finger Lakes region. This starts with wine quality and ends with wine marketing. Awareness for the Finger Lakes region will be improved by working together with all the wineries and attractions to promote the region. FF: We need to continue to gain more recognition for our wines and the Finger Lakes region. We are a small region that has to gain more credibility by producing world class cool climate wines. FF: I believe the Finger Lakes Wine Region will continue to grow and gain more credibility as America’s best cool climate region. I am excited to see more of my fellow Finger Lakes vintners following Dr. Frank’s lead and planting Vinifera grapes. I want to thank you for your fine coverage of the Finger Lakes Wine Region. 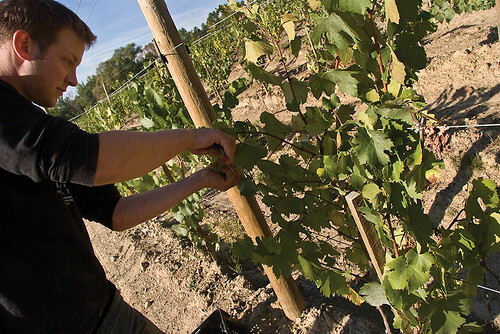 This week, freelance writer Patricia Savoie featured The Finger Lakes in a seven-page spread in Sommelier Journal. The publication has carved out a niche as “the only magazine specifically targeting restaurant wine professionals. Wine retailers, importers and distributors, winemakers, and serious wine consumers will all be strong secondary markets. In fact, anyone who is serious about wine will be interested in this magazine.” There is also a forum post about the article beginning a discussion debating whether or not one of the reasons that the Finger Lakes wine industry has not been able to break out into the mainstream is due to lack of production. Thus far, only Bob Madill of Sheldrake Point Vineyard and Finger Lakes Wine Alliance has responded with his views. If you have a moment, and would like to provide your insight into the wine industry in the Finger Lakes, go to the forum and set up a profile so that your views can be heard. These types of forums are valuable, free educational and marketing vehicles that can create two-way conversations and drive further understanding and awareness to the region as well as to you and your winery as a source of information and quality wine. And it shows that you’re plugged in and interested in supporting the efforts of your fellow winery owners. Looking for further insight into how social media can help you? See a recent post by Judd Wallenbrock, Owner & Founder, Humanitas Winery; President/GM, Michel-Schlumberger Wine Estate, and check out the comments section to decide for yourself. Judd explores how blogs and other social media platforms allow for the return of two-way conversation in the wine world. The Wine Bloggers Conference is just over a week away with over 150 wine bloggers from across the U. S. expected to attend and participate. Lenn Thompson at LENNDEVOURS blog was the driving force behind creating an opportunity for an informal tasting of New York wines during the conference. See Lenn’s post and thoughts on the upcoming conference here. Lenn and I are both planning on representing and educating attendees about the wines of New York within casual conversations as well as during the tastings. Many of the attendees originally connected via a social network called Open Wine Consortium. I highly recommend visiting the site, poking through the content, forums, groups and members and setting up a profile for yourself. This site attracts the thought leaders in the industry, those who are pushing the envelope and embracing new technologies because of the power these strategies have for wineries and wine businesses. If you haven’t participated in social networks much, I recommend setting up a profile, filling it out completely including links to your website and a clear description of who you are and what your business is. Then you may want to “lurk” for a bit, or just look around at the conversations taking place, utilize the search function and look for content relevant to your wine business, AVA or related subjects and once you feel comfortable, start by joining into a discussion and posting your views. Avoid pitching yourself/your business or using marketing speak in your posts as these types of posts will be seen as self-promoting and will turn off members. The purpose is to collaborate, educate and add to the conversation rather than push your wares. There is a strong sense of community among members of OWC which is now being taken offline and to the Wine Bloggers Conference. Cheers to you until next week and thank you to all of my wine friends who have been extremely supportive and helpful in introducing me to their wine friends…it is very much appreciated!